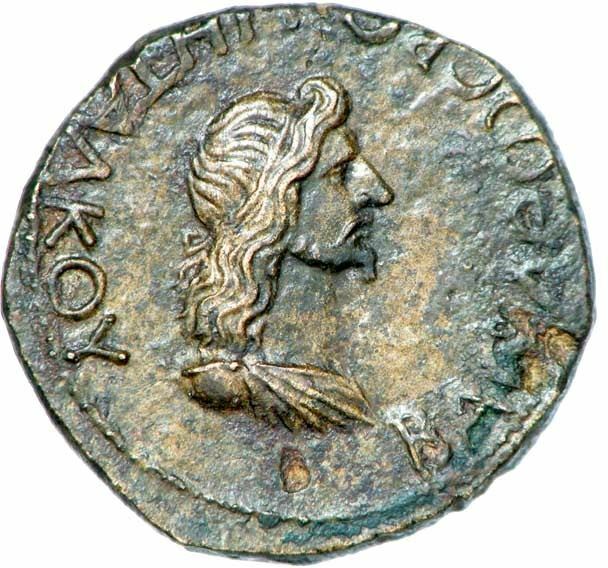 Tiberius Julius Rhoemetalces was a prince and Roman Client King of the Bosporan Kingdom. He was the son and heir of the Bosporan King Cotys II by an unnamed wife, and of Greek, Iranian and Roman ancestry. When Cotys II died in 132, Rhoemetalces succeeded him. Rhoemetalces ruled as Bosporan King from 132 until his death in 153. He was a contemporary to the rule of the Roman Emperors Hadrian and Antoninus Pius. According to the Augustan History, at an unknown date in the reign of Antoninus Pius, Rhoemetalces had travelled to Rome for a hearing of a dispute between him and the imperial commissioner. Not much more is otherwise known on the reign and life of Rhoemetalces. He married an unnamed woman, and from this marriage; he had a son called Eupator, who succeeded him on his death.